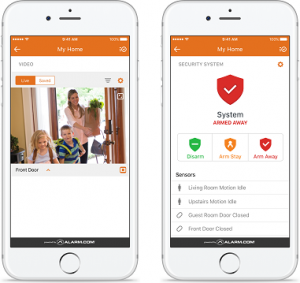 Take control of your home security with our remote home management smart phone app. Anytime or anywhere, you can arm or disarm your system remotely from a mobile device. You can also receive user-defined text message alerts so you can keep the notifications coming while you are on the go! Our system allows for you to watch live feeds of your property on your phone, tablet or computer. This allows you to see what’s happening at home, from anywhere, at any time.